If you have a passion for saving lives and would like to be paid handsomely as well, becoming a physician assistant should be your goal. Not only do you enjoy doctors’ perks, but you get to enjoy some level of freedom and a thriving career for years to come. If this tempts you to join the ranks of physician assistants, the first thing you need to do is enroll in the best PA schools around. If you are in California, here are some the top programs in the state. Located in Los Angeles, the Keck School of Medicine of University of Southern California is one of the oldest medical schools in Southern California. Its Primary Care Physician Assistant program is offered by the Department of Family Medicine to teach future PAs in California how to work in different medical care settings and diverse cultures. Stretching on 33 months, the ARC-PA (Accreditation Review Commission on Education for the Physician Assistant) accredited program focuses on teaching basic medical sciences and clinical disciplines while honing students’ cognitive skills. Upon completing this program, you will get the Master of Physician Assistant Practice (MPAP) degree. To find out more about the program, join an informational session where PA program staff and faculty discuss the program and answer any questions you have. You can check Keck’s website for the schedule. Loma Linda University is a Seventh-day Adventist institution that has offered the Master of Physician Assistant program since 2000. With an emphasis on primary care, the ARC-PA accredited program offered by the Department of Physician Assistant Sciences teaches students to provide healthcare and ensure excellence and compassion to all communities. Upon completing this 24-month program, you will receive a Master of Physician Assistant degree. However, you need to abide by a few rules when enrolled. First off, you will not be allowed to get a job without a written consent from the department dean. In addition, you will not be able to apply for advanced placement due to experiential learning or previous education. The new home of Riverside Community College District’s Physician Assistant program, Moreno Valley College is the latest school on this list. Its program is accredited by the ARC-PA and approved by the Physician Assistant Board (PAB) of the California Medical Board. Graduating from such a program and passing the Physician Assistant National Certification Exam (PANCE) are mandatory to practice PA in California. Moreno Valley College’s RCRMC/RCCD Physician Assistant Program is two years (24 months) continuous enrollment. 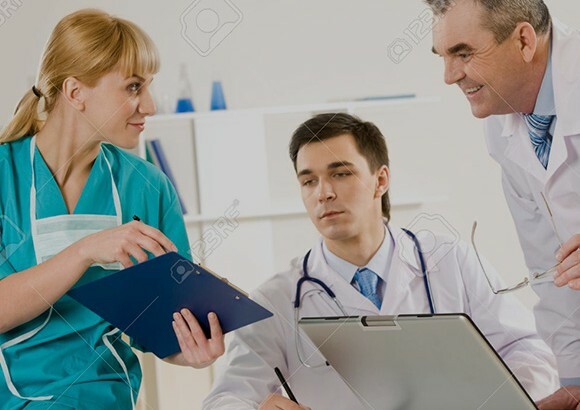 The graduate level course is equally divided into a didactic phase and a clinical phase, the latter which consists of 9 five-week clerkship assignments and a five-week elective. All nine assignments should be completed before graduation. To find out more about this program, consider joining an information session in Parkside Complex, Building 16. Get in touch with the program office at (951) 571-6166 to find out about the next session and reserve your seat. Samuel Merritt University (SMU) is an accredited health sciences institution in Oakland, California. Established at the beginning of the 20th century, it is the largest provider of PAs in California and the greater East Bay. The university’s PA master’s program is accredited by the ARC-PA and stretches across 27 months. The first 15 months focus on preclinical studies required for practicing as a PA while the remaining 12 are full-time clinical experiences. In addition to satisfying the main application criteria, students will have to provide proof of a minimum of 1,000 hours of patient contact and three references. Once semi-finalized, they will be invited to interview. However, you are welcome to virtually drop off and find out more about the MPA program via online chat. Dates are available through the university’s website. Stanford School of Medicine is located on the main Stanford University campus in Palo Alto, California. Unlike others on this list, it offers a 21-month Primary Care Associate program that is accredited by the ARC-PA. The curriculum focuses on five areas: didactic coursework, professionalism, multicultural medicine, clinical skills, and clinical preceptorships. 34 weeks are dedicated for didactic and skill training while 46 weeks focus on preceptorship experience. The university encourages applicants to attend one of the informational sessions; the dates of these are available through Stanford School of Medicine’s Primary Care Associate Program website. Located in Pomona, California, Western University of Health Sciences has over 30 years of experience in training health care professionals. It is one of the largest graduate schools for health sciences in California and most of its alumni have achieved heights in medicine across the U.S. and the world. The institution offers a Master of Science in Physician Assistant Studies degree. The two-year ARC-PA certified program will prepare you for the Physician Assistant National Certifying Examination (PANCE) and provide you with interprofessional learning and clinical experiences. These are some of the top PA schools in California, you can always check the offerings of San Joaquin Valley College, the Betty Irene Moore School of Nursing, and Touro University. Just remember to pick the best school to start your career as a physician assistant the right way. The Moreno Valley College PA program is no longer accepting students.